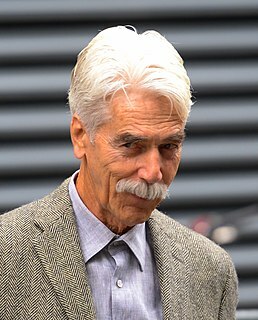 Samuel Atkinson Waterston (born November 15, 1940) is an American actor, producer, and director. 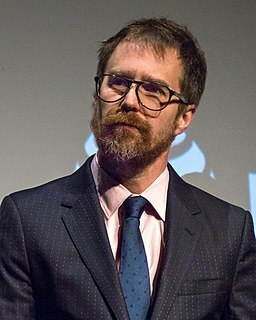 Among other roles, he is noted for his portrayal of Sydney Schanberg in The Killing Fields (1984), for which he received an Academy Award nomination, and his starring role as Jack McCoy on the NBC television series Law & Order (1994–2010), which brought him Golden Globe and Screen Actors Guild Awards. He has been nominated for multiple Golden Globe, Screen Actors Guild, BAFTA, and Emmy awards, having starred in over eighty film and television productions during his fifty-year career. He has also starred in numerous stage productions. AllMovie historian Hal Erickson characterized Waterston as having "cultivated a loyal following with his quietly charismatic, unfailingly solid performances." Waterston attended both the Brooks School, a boarding school in North Andover, Massachusetts, where his father taught; and the Groton School in Groton, Massachusetts. He entered Yale University in New Haven, Connecticut, on a scholarship in 1958 where he studied history, French, and drama graduating with a Bachelor of Arts degree in 1962. After graduating from Yale, he attended the Clinton Playhouse for several months. Waterston also attended the Sorbonne in Paris and the American Actors Workshop. The classically trained Waterston has numerous stage credits to his name. For example, he played an award-winning Benedick in Joseph Papp's production of William Shakespeare's Much Ado About Nothing and played the title role in Hamlet. He continues live theater work during the summers, often seen acting at places like Long Wharf Theatre and the Yale Repertory Theatre in New Haven. Waterston made his film debut in 1965's The Plastic Dome of Norma Jean and came to prominence in Fitzwilly in 1967. He starred as Tom in a 1973 television film adaptation of Tennessee Williams' The Glass Menagerie, alongside Katharine Hepburn. The film also featured Michael Moriarty (as the Gentleman Caller), whom Waterston later replaced as the executive assistant district attorney on Law & Order. One of his breakout roles was opposite Jeff Bridges in the western comedy Rancho Deluxe in 1975. Other films include Savages (1972), The Great Gatsby (1974), Journey Into Fear (1975), Capricorn One (1978), Heaven's Gate, Hopscotch (1980), and The Killing Fields (1984, nominated Academy Award for Best Actor). In 1985, he co-starred in Robert Preston's final television film with Mary Tyler Moore, Finnegan Begin Again. Also with Moore, Waterston played the title role in Lincoln (1988), a television film adaptation of Gore Vidal's Lincoln (1984). Other roles include Assault at West Point with Samuel L. Jackson, Mindwalk (1990), The Man in the Moon (1991) and Serial Mom (1994). Waterston has appeared in several Woody Allen films, including Interiors (1978), Hannah and Her Sisters (1986), September (1987) and Crimes and Misdemeanors (1989); the last of which featured his future Law & Order co-star Jerry Orbach. Waterston is a six-time Emmy Award nominee, as well as a winner of the Golden Globe and Screen Actors Guild Awards. Aside from Law & Order, other television roles include D.A. Forrest Bedford in I'll Fly Away, for which he won a Golden Globe Award for Best Actor – Drama Series in 1993. He had a starring role in an episode segment on the TV series Amazing Stories called "Mirror Mirror". In 1994, he appeared as US President William Foster, alongside Forest Whitaker and Dana Delany, in the television film The Enemy Within, a remake of director John Frankenheimer's Cold War political thriller Seven Days in May. In 1994, Waterston debuted as Executive Assistant District Attorney Jack McCoy in the fifth season of the television series Law & Order. He played the role of McCoy, who would eventually become District Attorney, through the series finale in 2010, and has reprised the role throughout the Law and Order franchise. Upon the show's cancellation, Waterston was the second longest-serving cast member (behind S. Epatha Merkerson), having reprised his role through 16 seasons. Due to the success of the New York–based TV series, Waterston and his fellow longtime Law & Order castmate Jerry Orbach were declared "Living Landmarks" by the New York Landmarks Conservancy. Waterston served on the Advisory Committee for the Lincoln Bicentennial, celebrating Abraham Lincoln's 200th birthday. He has portrayed Lincoln on stage and screen (The Civil War, Gore Vidal's Lincoln, and the Broadway play Abe Lincoln in Illinois). He voiced Lincoln in an exhibit at the National Constitution Center in Philadelphia, and delivered Lincoln's Cooper Union speech on May 5, 2004. Waterston lent his voice to the animated television series Family Guy where he played Dr. Kaplan, the psychiatrist Brian Griffin consults during his mid-life crisis in the episode "Brian in Love". Wally Wingert voiced Dr. Kaplan instead in the episode "Road to Rhode Island", but Waterston returned to voice the character in "The Thin White Line," his final appearance. Waterston narrated NBC's documentary, The Great Race, the story of the famous 4 x 10-kilometer cross-country relay at the 1994 Winter Olympics in Lillehammer, Norway, which Italy won over the host nation. The special aired during NBC's coverage of the 2006 Winter Olympics in Torino, Italy, on February 18, the day before the 2006 relay took place, which was also won by Italy. He added partial narration to the Ken Burns documentary, Lewis & Clark: The Journey of the Corps of Discovery, serving as the voice of Thomas Jefferson. He played Jefferson in Burns' documentary about Jefferson. He appeared in the first episode of ABC's Masters of Science Fiction, playing an amnesiac in the episode "A Clean Escape". Waterston appeared on the 5,100th edition of Jeopardy!, on November 10, 2006, with Kathryn Erbe of Law & Order: Criminal Intent and Christopher Meloni of Law & Order: Special Victims Unit. Waterston finished second to Meloni and received a $25,000 prize, which he donated to Refugees International and Oceana. He made a popular cameo appearance on an episode of Saturday Night Live as himself, extolling the virtues of Old Glory Insurance, meant to protect the elderly from robot attacks. 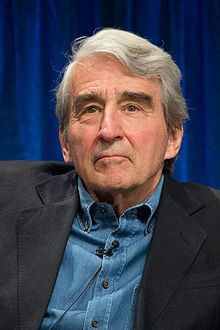 Waterston returned to television in 2012 as cable news president Charlie Skinner in The Newsroom, an HBO series by Aaron Sorkin. That same year, he received induction into the American Theatre Hall of Fame. In 2015, Waterston joined the cast of the Netflix series Grace and Frankie, starring alongside Martin Sheen, Jane Fonda and Lily Tomlin. In an interview with the New York Daily News, Waterston supported Tomlin and Fonda in demanding higher salaries than the supporting actors, saying, "I think they're being cheated." Waterston and his first wife, Barbara Rutledge-Johns, divorced in 1975. They have one son, James, also an actor. Waterston married his second wife, former model Lynn Louisa Woodruff, in 1976. They have three children, daughters Katherine Waterston and Elisabeth Waterston, who are also actresses, and a son, Graham. He was a spokesman for the Unity08 movement, which unsuccessfully sought to run a non- or bipartisan presidential ticket in the 2008 presidential election. Waterston has stated that he was a Democrat until he left the party in disgust following the airing of Lyndon B. Johnson's "Daisy" election advertisement in 1964. However, he endorsed Democratic President Barack Obama for re-election in 2012, and is currently a registered Democrat. Waterston has also appeared in print ads, and announced in television commercials, for the liberal magazine The Nation. Waterston is a longtime friend and fan of the Mark Morris Dance Group and hosted the television presentation of Mozart Dances on PBS's Live from Lincoln Center on August 16, 2007. Waterston has a summer home in Mattapoisett, Massachusetts. ^ Erickson, Hal (n.d.). "Biography at AllMovie". AllMovie.com. Retrieved July 30, 2013. ^ "Ancestry of Sam Waterston". Wargs.com. Retrieved November 17, 2012. ^ Staff. "Sam Waterston – Biography". Biography.com. Archived from the original on June 10, 2011. Retrieved July 30, 2013. ^ "Sam Waterston Travesties Opens at Long Wharf Theatre May 11" Archived October 17, 2012, at the Wayback Machine. Playbill. ^ Wren, Celia. "When Chekov had a Bad Dream". The New York Times. ^ "Archived copy". Archived from the original on February 18, 2016. Retrieved 2016-02-07. CS1 maint: Archived copy as title (link). Internet Movie Database. ^ "Archived copy". Archived from the original on May 11, 2013. Retrieved 2016-02-07. CS1 maint: Archived copy as title (link). NBC. ^ "Archived copy". Archived from the original on September 16, 2016. Retrieved 2016-06-26. CS1 maint: Archived copy as title (link). New York Landmarks Conservancy. ^ "Archived copy". Archived from the original on January 27, 2012. Retrieved 2016-02-07. CS1 maint: Archived copy as title (link). Hulu. Retrieved June 9, 2009. ^ "Public Theater – Shakespeare in the Park". Publictheater.org. August 22, 2006. Archived from the original on May 9, 2008. Retrieved November 17, 2012. ^ [permanent dead link] Nytheatre.com. ^ "Theriversdechurchny.org". Theriversidechurchny.org. February 1, 2009. Archived from the original on October 27, 2012. Retrieved November 17, 2012. ^ "Sam Waterston on the Hollywood Walk of Fame". ^ [dead link] Itzkoff, Dave. "HBO Picks Up Aaron Sorkin Series About Cable TV News" Archived March 21, 2015, at the Wayback Machine. The New York Times. ^ "EXCLUSIVE: Betty Buckley, Sam Waterston, Trevor Nunn, Christopher Durang, Andre Bishop Among Theater Hall of Fame Inductees". Archived from the original on December 20, 2013. Retrieved February 17, 2014. ^ Vanmetre, Elizazbeth. "Martin Sheen, Sam Waterston agree 'Grace and Frankie' stars Jane Fonda and Lily Tomlin deserve pay raise". New York Daily News. NYDailyNews.com. Retrieved 10 June 2015. ^ Healy, Patrick. "Sam Waterston to Star in 'The Tempest' in Central Park". ^ "Sam Waterston Trivia and Quotes on TV.com". CBS Interactive Inc. Archived from the original on February 9, 2009. Retrieved May 21, 2010. ^ Smith, Dinittia (July 15, 2004). "Father and Daughter, in Life and in Shakespeare". The New York Times. Archived from the original on May 17, 2013. Retrieved May 21, 2010. ^ "Sam Waterston in Shakespeare in American Life". Retrieved March 2, 2013. ^ "Actor Sam Waterston Receives Goodermote Humanitarian Award". Jhsph.edu. May 8, 2012. Retrieved November 17, 2012. ^ "The General Theological Seminary of the Episcopal Church". Web.archive.org. September 28, 2007. Archived from the original on April 29, 2009. Retrieved November 17, 2012. ^ Unity08.org: ""Actor Sam Waterston Calls on Americans to Join Growing 2008 Political Movement, Unity08"". Archived from the original on November 3, 2007. Retrieved July 28, 2010. CS1 maint: BOT: original-url status unknown (link). Retrieved January 4, 2008. ^ Alston, Joshua (December 15, 2007). "The Real McCoy". Newsweek (via The Daily Beast). Retrieved July 30, 2013. ^ Yoon, Robert (July 24, 2012). "Celebs Open Wallets In WH Race, Mostly For Obama". The Denver Channel. Archived from the original on August 31, 2012. Retrieved July 31, 2012. ^ "Connecticut Office of the Secretary of State Voter Registration Lookup". Retrieved July 19, 2016. Jerome Bernard Orbach was an American actor and singer, described at the time of his death as "one of the last bona fide leading men of the Broadway musical and global celebrity on television" and a "versatile stage and film actor". Henry Ian Cusick is a Scottish-Peruvian actor of television, film, and theatre and a television director. Anne Marie Cancelmi, known professionally as Annie Parisse, is an American actress. She portrayed Alexandra Borgia on the drama series Law & Order. Parisse has also starred as Julia Snyder on the soap opera As the World Turns, for which she was nominated for a Daytime Emmy Award, and as FBI special agent Debra Parker on the thriller series The Following. Samuel Pack Elliott is an American actor. His lanky physique, thick moustache, deep and resonant voice and Western drawl have led to frequent roles as cowboys and ranchers. His accolades include an Academy Award nomination, two Golden Globe Award nominations, two Primetime Emmy award nominations, and a National Board of Review Award for Best Supporting Actor. Lee Grinner Pace is an American actor. He starred as Thranduil the Elvenking in The Hobbit trilogy, and as the protagonist Joe MacMillan for four seasons in AMC's television drama Halt and Catch Fire. He also played Roy Walker/the Masked Bandit in the 2006 film The Fall. Pace has also appeared in the Marvel Cinematic Universe as Ronan the Accuser, a role he first appeared as in Guardians of the Galaxy, and then reprised in Captain Marvel. He has appeared in film series, including The Twilight Saga: Breaking Dawn – Part 2 as Garrett. He also starred as Ned in the ABC series Pushing Daisies for which he was nominated for the Golden Globe Award and Primetime Emmy Award for Outstanding Lead Actor in a Comedy Series in 2008. Sam Trammell is an American actor, known for his role as Sam Merlotte on the HBO fantasy drama series True Blood. He was nominated for the Tony Award for Best Featured Actor in a Play for his performance as Richard Miller in Ah, Wilderness!. Sterling Martin Beaumon is an American actor. He is known for his roles as Max Doyle in the 2008 film, Mostly Ghostly, and as young Benjamin Linus in the ABC television series, Lost. Beaumon has had guest roles in Law & Order SVU, Criminal Minds, CSI: Crime Scene Investigation. He has starred in series such as The Killing, as "Seamus" on the television show Clue, on The Hub channel. Jeremy John Irons is an English actor. After receiving classical training at the Bristol Old Vic Theatre School, Irons began his acting career on stage in 1969 and has since appeared in many West End theatre productions, including The Winter's Tale, Macbeth, Much Ado About Nothing, The Taming of the Shrew, Godspell, Richard II, and Embers. In 1984, he made his Broadway debut in Tom Stoppard's The Real Thing and received a Tony Award for Best Actor. Jason Isaac Fuchs is an American actor and screenwriter, best known for writing Ice Age: Continental Drift (2012), Pan (2015) and Wonder Woman (2017). He is also known for his role as Lawrence Grey on the Fox dramatic thriller The Passage . In January 2015, Fuchs was included on the Forbes 30 Under 30 list. Sam Waterston is an American actor who made his film debut in the 1965 drama The Plastic Dome of Norma Jean. Waterston has appeared in numerous films, television shows as well as on stage during his career. One of his early film roles was as a shoe salesman in the television drama film The Glass Menagerie (1973), for which he received a Primetime Emmy Award nomination for Outstanding Supporting Actor in a Drama Series. Waterston went on to appear as bond salesman Nick Carraway in the 1974 feature film version of The Great Gatsby, which earned him two Golden Globe nominations for Best Supporting Actor, and New Star of the Year.